Many Pennsylvania school districts are starting to make criminal background checks a prerequisite to participate in local Parent Teacher Associations. Fairview Elementary School in Crestwood recently implemented a background check standard and other schools are starting to take note, adopting a similar set of guidelines. To be a part of the PTA, parents used to only have to seek membership through the school. 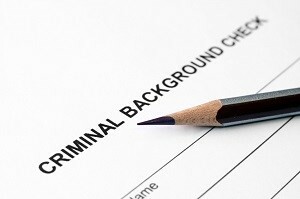 A background check was not required. Parents that want to become PTA members at Fairview must have a background check performed by Pennsylvania state police through its database system called Pennsylvania Access to Criminal History, otherwise known as PATCH. If parents do not want to go through this process on their own, the PTA, for a $10 fee, will run your personal information through the PATCH system. Fairview Elementary school principal, Margaret Foster told parents the reason for the change in requirements to join the PTA was a safety precaution; it is a way parents can feel comfortable knowing their children are interacting with volunteers that have met a strict set of guidelines. Pennsylvania Department of Education states the only law that requires background checks for volunteers is in charter schools. It does not mandate background checks in private or public schools, but does give the option for schools to create policy that allows them to enforce stricter guidelines. In this case, it is permissible to mandate background checks for all volunteers. Area school districts are recommending background checks if the volunteer position requires a student and volunteer be alone together without the presence of a teacher or administrator. Frank Galicki, superintendent of the Dallas School District said his district only requires a background check if the volunteer will be alone with a student as a chaperone for a long period of time. Meaning, if a chaperone is going to supervise an overnight trip, a background check will be enforced. Galicki added, it all depends on the number of hours a person is in contact with a student. School districts, Hazleton being an example, have a volunteer background policy that charts the amount of time a volunteer would be in contact with a child during a school sponsored event. This is documented from a one-day chaperoned field trip for both long-term and short-term contact positions (long-term being a person that volunteers as a coach for a sports team, for example). For both of these types of volunteer opportunities, there are set of guidelines in place. For long-term volunteers, a full background check and approval of the school board is required policy at Hazleton schools. Volunteers with limited contact do not currently require a background check or school board approval. Hazleton Superintendent Francis Antonelli said its policy considers several factors when a background check and school board approval are needed. If there are no children involved, and it is only a group of parents together, a background check and board approval are not needed. Antonelli said that to date, there has not been a complaint or demands for a change in policy.